The cheapest Android smartphones cost about $50, and this price is still a barrier to entry to many, as about 46.4% of phones sold worldwide in 2013 were feature phones according to Gartner, which still corresponds to about 838 million units per year. Mozilla and Spreadtrum are currently working together to bring $25 smartphones to market, and that’s retail price, running Firefox OS and powered by the latest Spreadtrum SC6821 SoC. The $25 smartphone will come with 128 MB RAM, 256 MB NAND flash, and feature a 3.5″ HVGA touchscreen, built-in Wi-Fi and Bluetooth, FM radio, and run Firefox OS with HTML5 apps such as Twitter and Facebook, and access to a full web browser, according to Spreadtrum representatives. You would certainly not trade this phone with your existing Android phone, but if all you could afford until now was a feature phone, these upcoming ultra low cost Firefox OS smartphones could be appealing. Spreatrum also put out a press release about their new SC6821 SoC with WCDMA support, but gave very little details, preferring to mention Mozilla partnership. I could not even find out if it is ARM based or not. 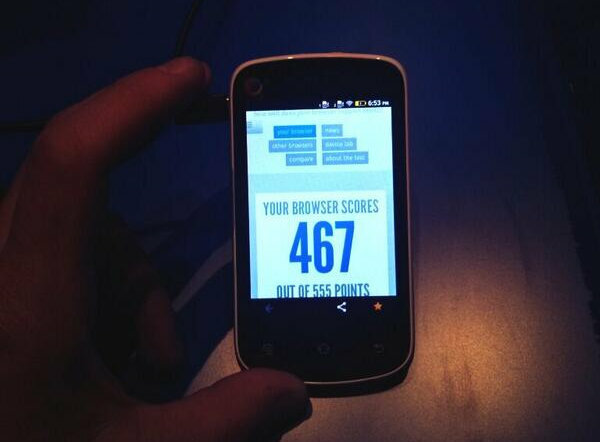 The $25 phone prototype is now being showcased in Mozilla booth at Mobile World Congress 2014. SC6820 & 6825 are Cortex A5; barring a complete breakdown of their naming convention SC6821 should be too. Will Firefox really run ok in 128MB RAM? SD slot ? If so I could find few uses for it. I’ve just noticed there are $25 android phones, available without contract, albeit locked to a service called Tracfone.